Popping in with a quick late night post to share a holiday gift tag and a reminder for prrriiizzzesss!! I'm always a huge fan of Ellen Hutson's 12 Tags with a Feminine Twist! I've already made two inspired tags, and today I'm sharing one more (and another tomorrow!). I immediately fell in love with the tag by Dawn Woleslagle. The black, white, and gold was heart stopping! 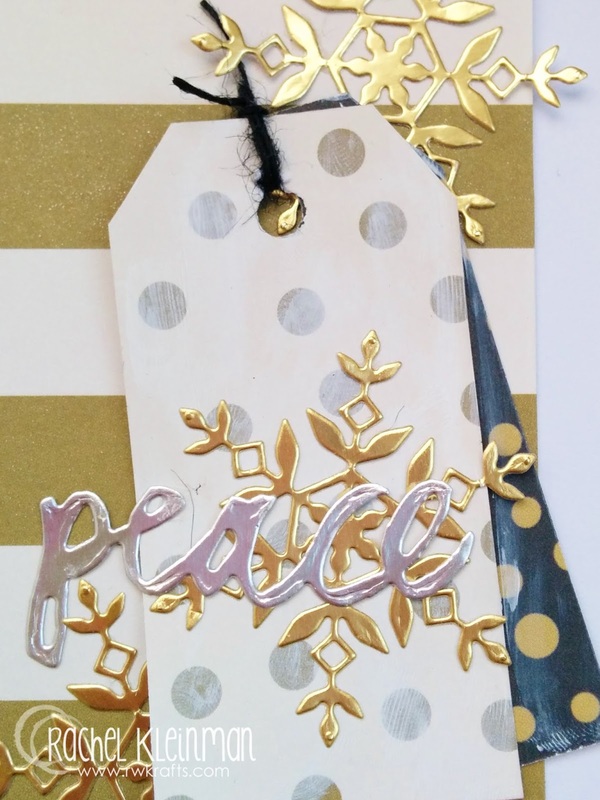 I cut out the heat embossing part and found a lovely striped paper from My Mind's Eye 'Marketstreet' collection, so I used that for the base of my tag. I did a coat of Wink of Stella over the gold stripes to make them shimmer. I die cut the snowflake and peace from DCWV Foil paper in gold and silver. Ok now quick reminders! Make sure you check out THIS POST for a list of all of my 12 Days of Holiday Inspiration. Then leave comments to enter for a chance to win a BOX FULL of amazing prizes!! I'm picking winners tomorrow afternoon! I love this tag! All that gold,silver, and shimmer is beautiful! Plus I love polka dots:) This is really an awesome tag!!! 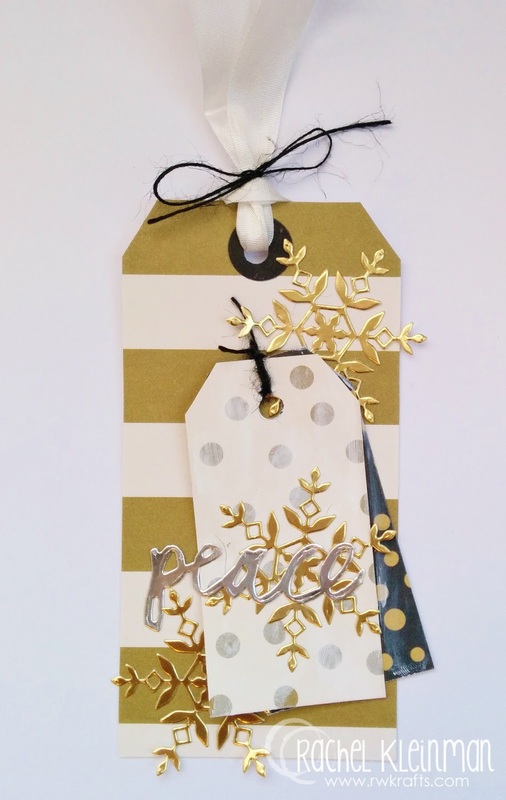 OH, this is so awesome, I adore the gold snowflakes and silver peace against the striped and polka dot papers. Your lift on Dawn's tag is awesome. The shimmer on the gold stripes is awesome! BTW, which die did you use for the snowflakes? I LOVE them. 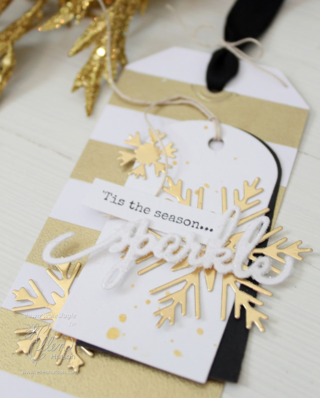 I love how you combined both silver and gold on your tag! So pretty! Unity Hop for 50K Friends!